Ever find yourself struggling to check a bill or tax on a payslip? 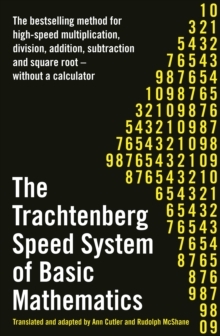 The Trachtenberg Speed System provides a course in refining basic mathematics skills to tackle large sums before simplifying to increase concentration and ability in day-to-day arithmetic. The Trachtenberg system has been described as the 'shorthand of mathematics' and only requires the ability to count from one to eleven. Using a series of simplified keys, it allows anyone to master numbers and calculations giving greater speed, ease in handling numbers and increasing accuracy. 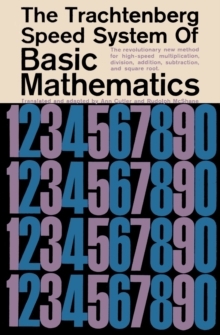 Jakow Trachtenberg believed that everyone is born with phenomenal abilities to calculate. He devised a set of rules that allows every child to make multiplication, division, addition, subtraction and square-root calculations with unerring accuracy and at remarkable speed. A perfect entry into gaining confidence with numbers.